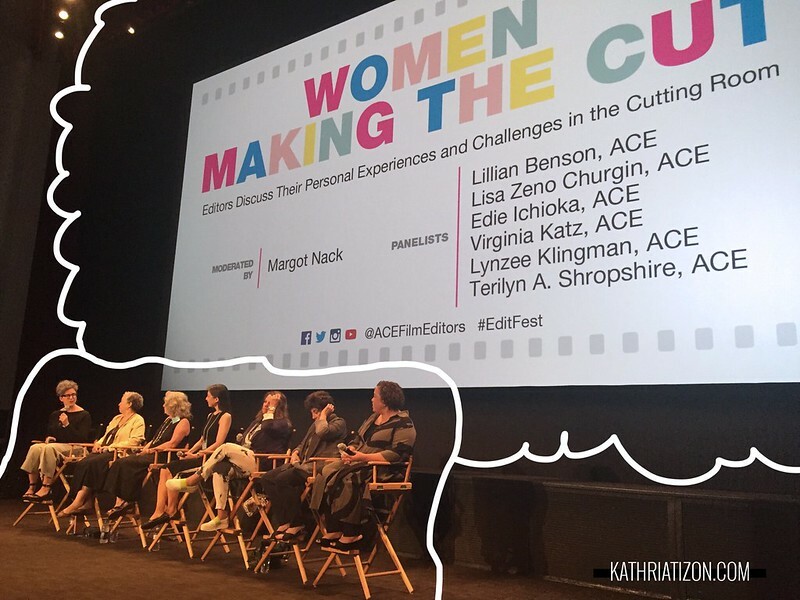 I went to my first EditFest event, and I enjoyed it a lot. Being surrounded by amazing editors and assistant editors is truly inspiring. Every now and then I get a little down on myself, and honestly, I think we all do at some point in our careers. But attending EditFest this year has uplifted my spirits a bit. It was nice to finally be amongst "my kind" and relate to the stuff they talked about. I mean, I do have editor friends, but it was nice to hear stories from outside my circle. There were 2 things that stuck with me the most after listening to the panelists speak about their experiences. It all comes down to the times have changed. Back then an editor wasn't always alone. An editor usually has an assistant editor then from there the project either goes to color or sound or VFX. Basically, the editor communicated to these different departments because post-production wasn't a one person team. Today that is so different (and in some cases still the same). I've worked with companies on projects where I'm the only one in post. I don't have an assistant editor, I'm doing the sound mixing, I'm doing the color correction, and/or I'm doing the MGFX or VFX. There's no one to blame honestly. Times have changed. The advancements technology is creating is remarkable and intimidating. An editor can do all these things on one machine now. It gives us editors more skills and qualifications, but it takes away freelance jobs from people who were just colorists or just sound designers or just motion graphics. With technology evolving and shaping the industry we tend to skip steps or jump the process due to the advancement of technology. For example, many of the editors who used to edit film (16mm, 35mm) would say they'd have dailies sessions where they'd sit in a room with the director to watch dailies. That's something I haven't done in a very long time, and I'm sad people don't do this anymore. One of the reasons is there's no time because turn around rates these days are ridiculous. We live in a society where we can order and receive anything we want within a day (Amazon Prime). We live in a time where we can look at a strangers photo taken from across the world and comment on it within hours (Instagram). Our world has become instant and now now now. Sometimes I wish we could step back and just enjoy the process. When you look at how editors used to cut film it literally was cutting the film (16mm, 35mm). Once you made a rough cut or a first cut there's no going back to that cut after that because there's no undo button or copy & paste sequence. You literally had to measure twice and cut once. Now I just need to attend camera events for the other line of work I do :p Balance is key.